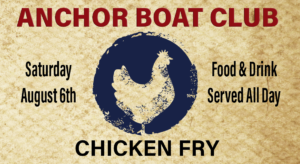 The Annual Anchor Boat Club Chicken Fry is Saturday August 6th. After Sunset will be taking the stage at 7pm. 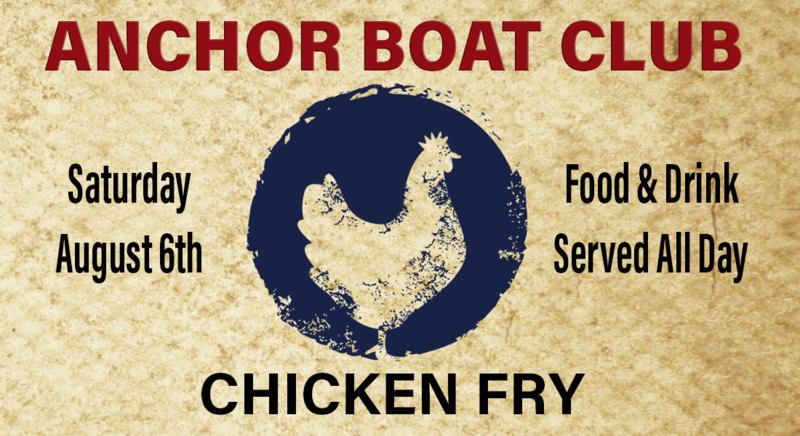 Club cooked fried chicken dinners will be served from 3-7pm. Ice cold drinks will be served all day.